I love books. Though I’ve been known to ingest audiobooks on long road trips, I’m not an ebooks guy…there’s no Kindle in my future. I like big, beautiful volumes that look like heirlooms; musty hardcovers with yellowed pages; beater paperbacks with the cracks of years in their spines. I like poetry, fiction, and non-fiction…and even leather-bound French translations of the masterworks of Catholic saints, apparently, despite the fact that I neither read nor speak French. When I see books, I browse. When I see great books, beautiful books, cheap books, or neglected books, I tend to buy them. I also tend to re-read favorite books. Again and again. 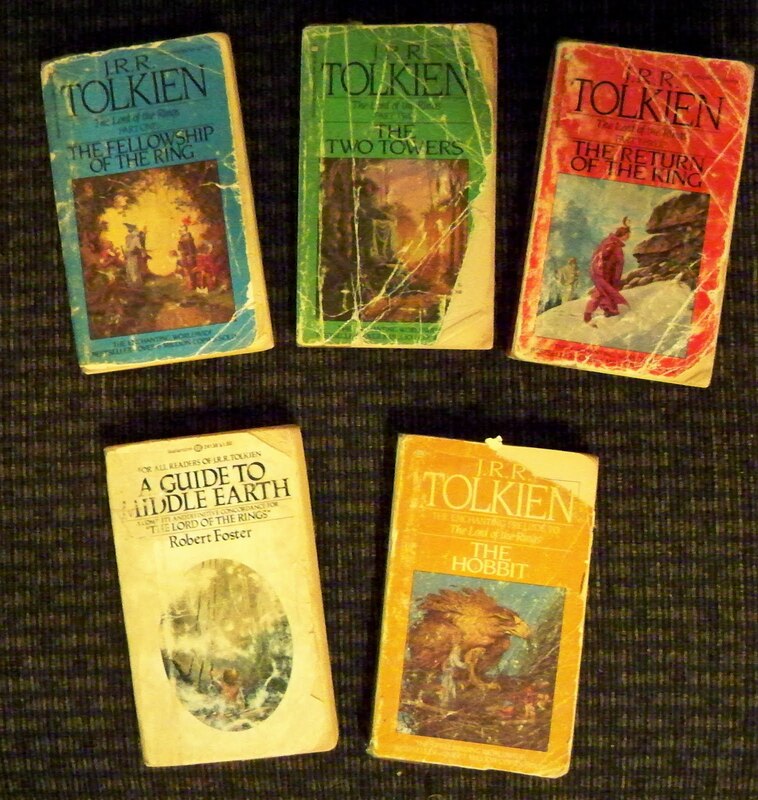 The five books pictured above (my paperback set of the Lord of the Rings trilogy, plus The Hobbit and The Guide to Middle Earth) were my constant companions from roughly sixth through eighth grade, and I’ve taped them back together more than once. And when I love a book, I read it slowly. Re-read parts I like until I’ve absorbed them. Re-read them again until I can share them with others. Nah. In my Second Third, I’m making more time to read. TV stinks anyway. Agree. I sometimes read a brandspankingnewshiny novel to clense my brain palate and then I dig into another oldie or non-fiction (my favorite). I'm not always totally disappointed by the newbies, but so few of them will ever be defined as “classic”. A lot of the new novels seem to all be written by the same person. Weird.